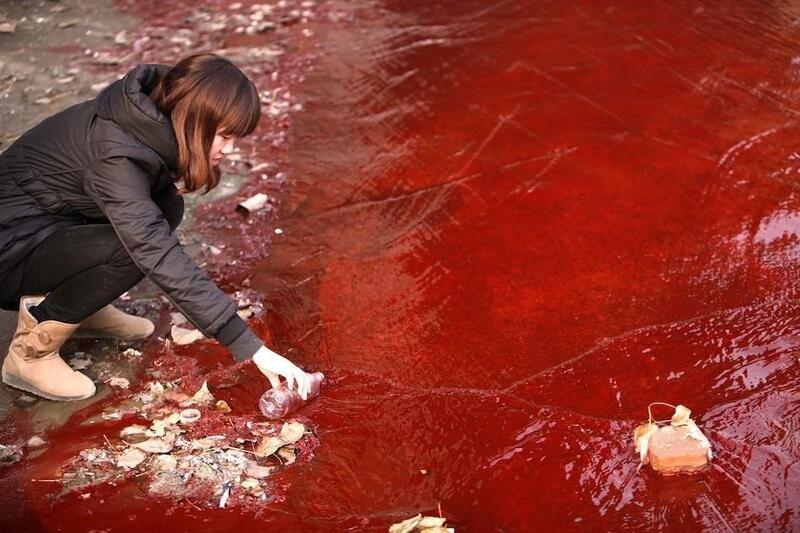 Visitors to the Jian River in Luoyang, China were shocked earlier this week when they saw the water had become a river of blood, dyed bright red after an illegal dye dump by nearby chemical plant, an incident that has since launched an official investigation by the Luoyang Municipal Environmental Protection Bureau. 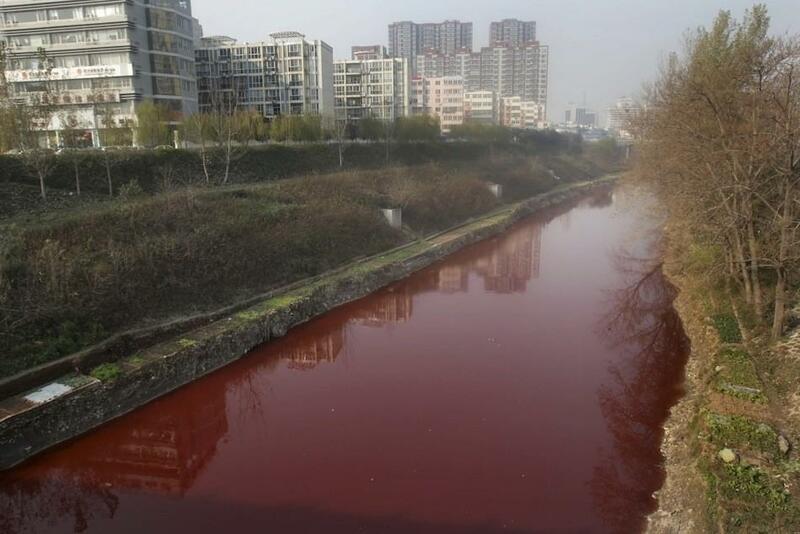 The Jian (or Jianhe) River runs through Luoyang in the Henan province. 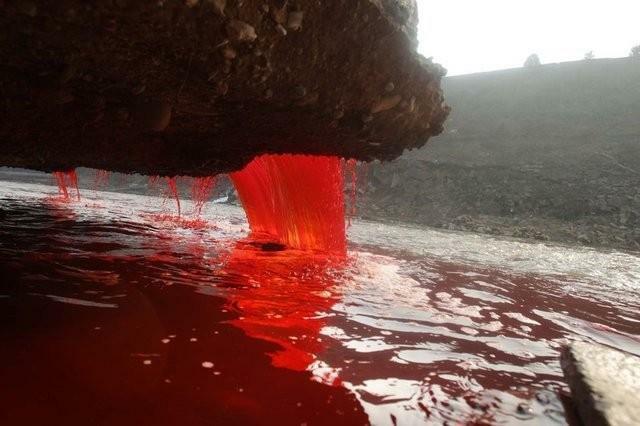 Locals were subject to the water's eerie, blood-like color for several days before government officials tracked the source of the color not to a Moses-like End Times but to two small chemical plants dumping red dye into the city's storm water pipe. The plants stand accused of illegally producing red dye for firework wrappers in preparation for the Chinese New year before dumping the excess into the water supply. 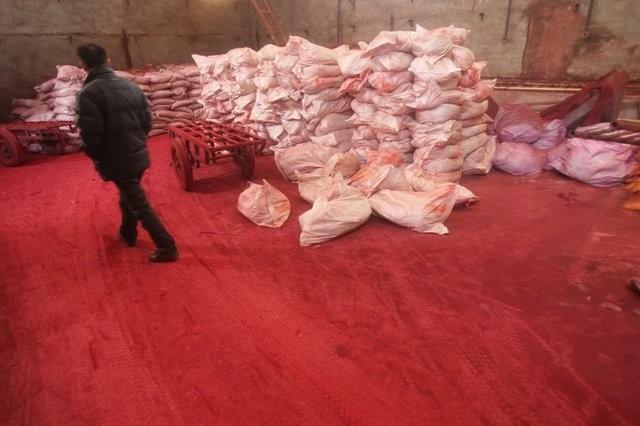 Workers at the factory claim they rinsed a batch of red plastic bags for recycling and didn't expect the consequences. According to Xinhua, a state-run news agency, the Luoyang Municipal Environmental Protection Bureau cut off tthe workshop's power supply immediately and conducted a thorough examination. Lab results indicated that despite its quite disturbing color, the bloody water in question contained no heavy metals or poisonous elements. 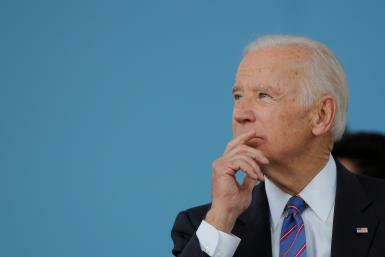 Although media outlets were alerted to the spill by citizens' panicked calls, others who live neat the water are unsurprised, saying the water changes color often due to the various pollutants and domestic garage dumped into or along the river on a weekly basis. Some Chinese locals report that the river has turned dark green in the past. 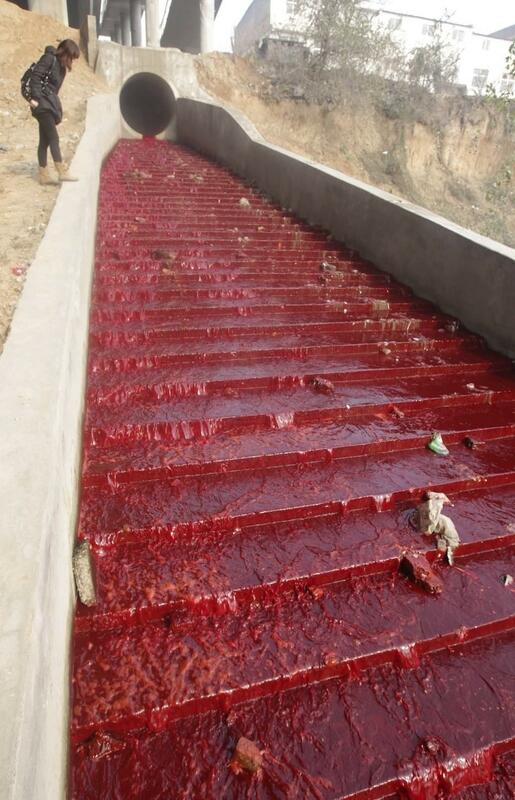 The river has since returned to its normal shade, but not before photographers snapped pictures of China's River of Blood during the government examination.